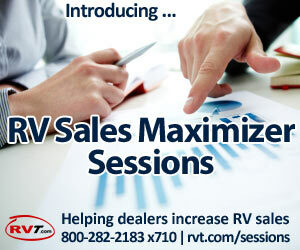 As shoppers have been taking their business online, savvy RV dealers are shifting marketing dollars from print advertising to online banner and display ads. Across the commercial business sector, eMarketer predicts that spending on online advertising will surpass print advertising spending for the first time this year. 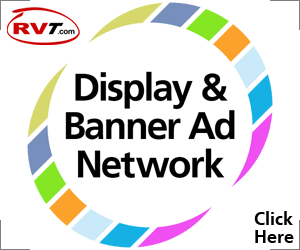 As noted in our previous post, to be effective, banner ads must attract the attention of RV shoppers, engage their interest and compel them to take action (i.e., click on your ad). When creating online banner ads, smart use of size and shape can increase their effectiveness. Online advertising is sold in two shapes: rectangles and squares. Obviously, because they stretch from one side of the webpage to the offer, banner ads are rectangles. Display ads can be square or rectangular (oriented either horizontally or vertically) and are available in a variety of sizes. Rectangular ads have been proven to attract more online shopper attention than square ads, and banner ads that stretch across the full width of the webpage attract the most attention. Size considerations should extend beyond the height and width of your banner ad to font and image sizes. To attract the greatest RV shopper attention, ad size, type face and ad images must be noticeably larger than the surrounding webpage material. 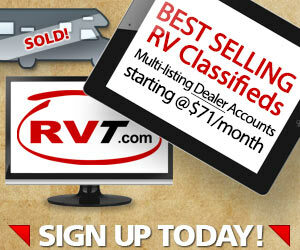 To stand out, RV banner ads must be longer and taller than the surrounding RV classified ads and employ a larger, bolder typeface and larger images than neighboring classified ads.